COLUMBUS, OHIO (JAN. 31, 2018) – The U.S. Bureau of Labor Statistics notes massive growth in the nation’s healthcare sector with no signs of slowing anytime soon. 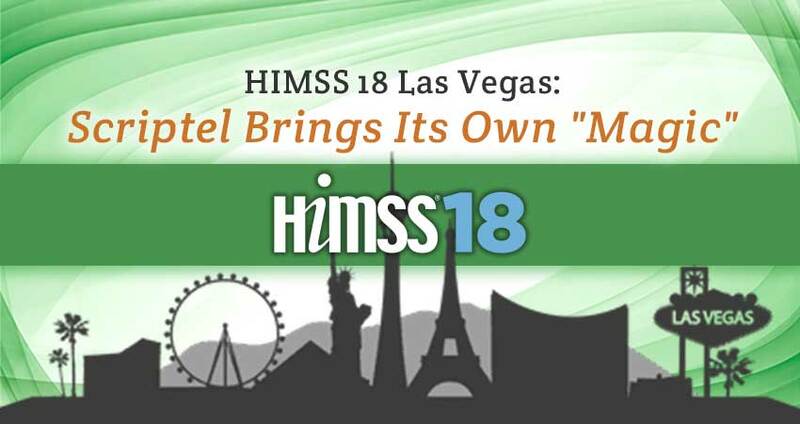 In response, Scriptel Corporation—which leads the way in eSignature and digitizing technology—is proud to take part in the HIMSS Annual Conference & Exhibition at the Venetian Palazzo Sands Expo Conference Center in Las Vegas from March 5-9, 2018. HIMSS 18 is a meeting place for more than 40,000 health IT professionals, clinical care providers, executives, and vendors from around the globe. Hallmarks of this annual industry conference include world-class speakers, cutting-edge health IT product demonstrations, and numerous opportunities for education, as well as networking. Scriptel promises to bring its own brand of “magic” to the event, helping healthcare IT professionals noticeably improve quality, accessibility, accuracy, and security associated with their own patient registration, practice management, and electronic health record (EHR) management efforts. Trends to watch out for at HIMSS 18 include innovations related to cloud computing, connected health, artificial intelligence, patient engagement, and revenue cycle. Scriptel® has played a major role in advancing the benefits of paperless technology in healthcare and other dynamic settings for decades. To date millions of its capacitive touch screen, digital signature, and handwriting recognition hardware or software solutions have been deployed worldwide. The event’s host—the Healthcare Information and Management Systems Society—is a nonprofit organization which pursues a goal of promoting the best use of information technology and management systems in the healthcare industry. Online at HIMSS.org. Bring some health IT and management systems magic of your own to the workplace! Stop by Booth 13030 at HIMSS 18. Call the Scriptel Sales Team at (877) 848-6824. Like, follow and connect with Scriptel on Facebook, Twitter and LinkedIn. Explore your practice’s information security, archiving, and authentication options at Scriptel.com. HIMSS 18 advanced registration rates are in effect until Feb. 5.